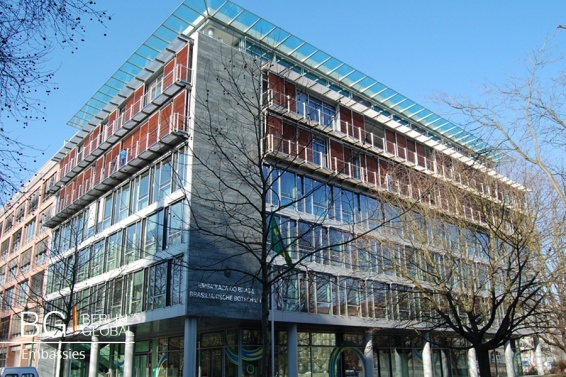 The Brazilian Embassy is promoting several concerts all over Berlin in the next few days. From today the 21st to the 24th, there will be a union of a Brazilian Choir and a German Symphony Orchestra; a World Jazz concert; and addition to that a “French Bossa-Jazz” concert. Today and on the weekend, there will be a series of German-Brazilian concerts. The Mackenzie University Choir will get together with the Georg-Friedrich-Händel-Gymnasium's Young Symphony Orchestra for three concerts, conducted by Parcival Módolo. The concerts will take place in the Zwinglikirche (Friedrichshain-Kreuzberg), on the 21st at 19:00; in the Lindenkirche (Wilmersdorf), on the 23rd, at 19:30; and in the Friedrichskirche (Potsdam), on the 24th, at 17:00. The entrance for all the concerts is free. On Friday the 22nd at 19:00, the Mackenzie University Choir will also perform a concert in the Brazilian Embassy. This choir was founded in 2005, and incorporates 80 singers (males and females). The concert will be a cappella (with no instrumental backing), and the repertoire is expected to include Brazilian and international songs. The entrance is for free, although one should contact the embassy to sign up in advance. The contact is cultural.berlim@itamaraty.gov.br, or 030-72628 112. The address is Wallstraße 57 -10179 Berlin. To finish this musical weekend in the best possible way, there will also be a concert on Saturday, the 23rd from 20:15 to 23:00, of “French Bossa-Jazz”, with Lisa Zenner. This German-French singer will get together with Rachel Kenesei, a violinist, to perform this concert named “Promesses”. Besides singing, Lisa Zenner also writes her own lyrics. 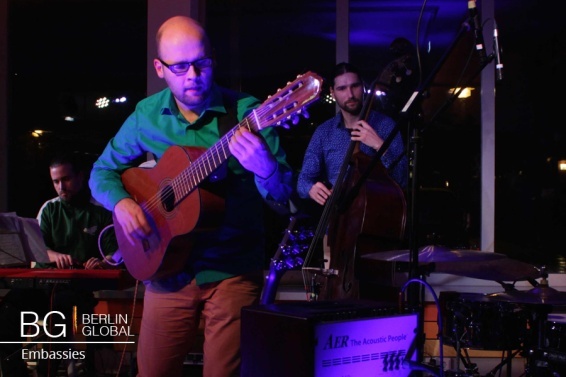 With arrangements by Gerd Pfeuffer, the result will be a unique mix of Latin-American rhythms, Brazilian bossa-nova, and the melancholic tone from the French chansons. For 15€, at Corbo, Kiefholzstr. 1-4 - 12435 Berlin. For more information, one can access the website: www.corbo-berlin.de or call 030 53604001.